2052101 ARES 540 RX CLAAS ARES 540 RX Tractor Spare parts catalog. Operation and meintenance manual. Repair manual. 2052102 ARES 540 RZ CLAAS ARES 540 RZ Tractor Spare parts catalog. Operation and meintenance manual. Repair manual. 2052103 ARES 546 RX/RZ CLAAS ARES 546 RX/RZ Tractor Spare parts catalog. Operation and meintenance manual. Repair manual. 2052104 ARES 546 CLAAS ARES 546 Tractor Spare parts catalog. Operation and meintenance manual. Repair manual. 2052105 ARES 547 ATX/ATZ CLAAS ARES 547 ATX/ATZ Tractor Spare parts catalog. Operation and meintenance manual. Repair manual. 2052106 ARES 547 CLAAS ARES 547 Tractor Spare parts catalog. Operation and meintenance manual. Repair manual. 2052107 ARES 550 RX/RZ CLAAS ARES 550 RX/RZ Tractor Spare parts catalog. Operation and meintenance manual. Repair manual. 2052108 ARES 556 RX/RZ CLAAS ARES 556 RX/RZ Tractor Spare parts catalog. Operation and meintenance manual. Repair manual. 2052109 ARES 556 CLAAS ARES 556 Tractor Spare parts catalog. Operation and meintenance manual. Repair manual. 2052110 ARES 557 ATX/ATZ CLAAS ARES 557 ATX/ATZ Tractor Spare parts catalog. Operation and meintenance manual. Repair manual. 2052111 ARES 557 CLAAS ARES 557 Tractor Spare parts catalog. Operation and meintenance manual. Repair manual. 2052112 ARES 566 RX/RZ CLAAS ARES 566 RX/RZ Tractor Spare parts catalog. Operation and meintenance manual. Repair manual. 2052113 ARES 566 CLAAS ARES 566 Tractor Spare parts catalog. Operation and meintenance manual. Repair manual. 2052114 ARES 567 ATX/ATZ CLAAS ARES 567 ATX/ATZ Tractor Spare parts catalog. Operation and meintenance manual. Repair manual. 2052115 ARES 567 CLAAS ARES 567 Tractor Spare parts catalog. Operation and meintenance manual. Repair manual. 2052116 ARES 577 ATX/ATZ CLAAS ARES 577 ATX/ATZ Tractor Spare parts catalog. Operation and meintenance manual. Repair manual. 2052117 ARES 577 CLAAS ARES 577 Tractor Spare parts catalog. Operation and meintenance manual. Repair manual. 2052118 ARES 610 RX/RZ CLAAS ARES 610 RX/RZ Tractor Spare parts catalog. Operation and meintenance manual. Repair manual. 2052119 ARES 616 RC CLAAS ARES 616 RC Tractor Spare parts catalog. Operation and meintenance manual. Repair manual. 2052120 ARES 616 RX/RZ CLAAS ARES 616 RX/RZ Tractor Spare parts catalog. Operation and meintenance manual. Repair manual. 2052121 ARES 616 CLAAS ARES 616 Tractor Spare parts catalog. Operation and meintenance manual. Repair manual. 2052122 ARES 617 ATZ CLAAS ARES 617 ATZ Tractor Spare parts catalog. Operation and meintenance manual. Repair manual. 2052123 ARES 617 CLAAS ARES 617 Tractor Spare parts catalog. Operation and meintenance manual. Repair manual. 2052124 ARES 620 RX/RZ CLAAS ARES 620 RX/RZ Tractor Spare parts catalog. Operation and meintenance manual. Repair manual. 2052125 ARES 626 RX/RZ CLAAS ARES 626 RX/RZ Tractor Spare parts catalog. Operation and meintenance manual. Repair manual. 2052126 ARES 626 CLAAS ARES 626 Tractor Spare parts catalog. Operation and meintenance manual. Repair manual. 2052127 ARES 630 RX/RZ CLAAS ARES 630 RX/RZ Tractor Spare parts catalog. Operation and meintenance manual. Repair manual. 2052128 ARES 636 CLAAS ARES 636 Tractor Spare parts catalog. Operation and meintenance manual. Repair manual. 2052129 ARES 640 RX/RZ CLAAS ARES 640 RX/RZ Tractor Spare parts catalog. Operation and meintenance manual. Repair manual. 2052130 ARES 656 RX/RZ CLAAS ARES 656 RX/RZ Tractor Spare parts catalog. Operation and meintenance manual. Repair manual. 2052131 ARES 656 CLAAS ARES 656 Tractor Spare parts catalog. Operation and meintenance manual. Repair manual. 2052132 ARES 657 ATZ CLAAS ARES 657 ATZ Tractor Spare parts catalog. Operation and meintenance manual. Repair manual. 2052133 ARES 657 CLAAS ARES 657 Tractor Spare parts catalog. Operation and meintenance manual. Repair manual. 2052134 ARES 696 RX/RZ CLAAS ARES 696 RX/RZ Tractor Spare parts catalog. Operation and meintenance manual. Repair manual. 2052135 ARES 696 CLAAS ARES 696 Tractor Spare parts catalog. Operation and meintenance manual. Repair manual. 2052136 ARES 697 ATZ CLAAS ARES 697 ATZ Tractor Spare parts catalog. Operation and meintenance manual. Repair manual. 2052137 ARES 697 CLAAS ARES 697 Tractor Spare parts catalog. Operation and meintenance manual. Repair manual. 2052138 ARES 710 RZ CLAAS ARES 710 RZ Tractor Spare parts catalog. Operation and meintenance manual. Repair manual. 2052139 ARES 715 RZ CLAAS ARES 715 RZ Tractor Spare parts catalog. Operation and meintenance manual. Repair manual. 2052140 ARES 720 RZ CLAAS ARES 720 RZ Tractor Spare parts catalog. Operation and meintenance manual. Repair manual. 2052141 ARES 815 RZ CLAAS ARES 815 RZ Tractor Spare parts catalog. Operation and meintenance manual. Repair manual. 2052142 ARES 816 RZ CLAAS ARES 816 RZ Tractor Spare parts catalog. Operation and meintenance manual. Repair manual. 2052143 ARES 816 CLAAS ARES 816 Tractor Spare parts catalog. Operation and meintenance manual. Repair manual. 2052144 ARES 816 RZ CLAAS ARES 816 RZ Tractor Spare parts catalog. Operation and meintenance manual. Repair manual. 2052145 ARES 826 4PS/FPS CLAAS ARES 826 4PS/FPS Tractor Spare parts catalog. Operation and meintenance manual. Repair manual. 2052146 ARES 826 RZ CLAAS ARES 826 RZ Tractor Spare parts catalog. Operation and meintenance manual. Repair manual. 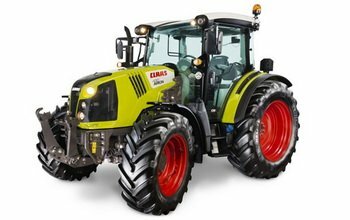 2052147 ARES 826 FULL POWERSHIFT CLAAS ARES 826 FULL POWERSHIFT Tractor Spare parts catalog. Operation and meintenance manual. Repair manual. 2052148 ARES 826 CLAAS ARES 826 Tractor Spare parts catalog. Operation and meintenance manual. Repair manual. 2052149 ARES 826 RZ CLAAS ARES 826 RZ Tractor Spare parts catalog. Operation and meintenance manual. Repair manual. 2052150 ARES 836 RZ CLAAS ARES 836 RZ Tractor Spare parts catalog. Operation and meintenance manual. Repair manual. 2052151 ARES 836 CLAAS ARES 836 Tractor Spare parts catalog. Operation and meintenance manual. Repair manual. 2052152 ARES 836 RZ CLAAS ARES 836 RZ Tractor Spare parts catalog. Operation and meintenance manual. Repair manual. 2052154 ARION 540 CLAAS ARION 540 Tractor Spare parts catalog. Operation and meintenance manual. Repair manual. 2052155 ARION 640 CLAAS ARION 640 Tractor Spare parts catalog. Operation and meintenance manual. Repair manual. 2052156 ARION 630 C CLAAS ARION 630 C Tractor Spare parts catalog. Operation and meintenance manual. Repair manual. 2052157 ARION 510 CLAAS ARION 510 Tractor Spare parts catalog. Operation and meintenance manual. Repair manual. 2052158 ARION 610 CLAAS ARION 610 Tractor Spare parts catalog. Operation and meintenance manual. Repair manual. 2052159 ARION 610 C CLAAS ARION 610 C Tractor Spare parts catalog. Operation and meintenance manual. Repair manual. 2052161 ATLES 915 RZ CLAAS ATLES 915 RZ Tractor Spare parts catalog. Operation and meintenance manual. Repair manual. 2052162 ATLES 926 RZ CLAAS ATLES 926 RZ Tractor Spare parts catalog. Operation and meintenance manual. Repair manual. 2052163 ATLES 926 RZ CLAAS ATLES 926 RZ Tractor Spare parts catalog. Operation and meintenance manual. Repair manual. 2052164 ATLES 936 RZ CLAAS ATLES 936 RZ Tractor Spare parts catalog. Operation and meintenance manual. Repair manual. 2052165 ATLES 946 RZ CLAAS ATLES 946 RZ Tractor Spare parts catalog. Operation and meintenance manual. Repair manual. 2052167 AXION 850 CLAAS AXION 850 Tractor Spare parts catalog. Operation and meintenance manual. Repair manual. 2052168 AXION 810 CLAAS AXION 810 Tractor Spare parts catalog. Operation and meintenance manual. Repair manual. 2052170 CELTIS 426 RA/RC/RX CLAAS CELTIS 426 RA/RC/RX Tractor Spare parts catalog. Operation and meintenance manual. Repair manual. 2052171 CELTIS FARMING 426 CLAAS CELTIS FARMING 426 Tractor Spare parts catalog. Operation and meintenance manual. Repair manual. 2052172 CELTIS 426 CLAAS CELTIS 426 Tractor Spare parts catalog. Operation and meintenance manual. Repair manual. 2052173 CELTIS 436 RA/RC/RX CLAAS CELTIS 436 RA/RC/RX Tractor Spare parts catalog. Operation and meintenance manual. Repair manual. 2052174 CELTIS 436 CLAAS CELTIS 436 Tractor Spare parts catalog. Operation and meintenance manual. Repair manual. 2052175 CELTIS 446 RA/RC/RX CLAAS CELTIS 446 RA/RC/RX Tractor Spare parts catalog. Operation and meintenance manual. Repair manual. 2052176 CELTIS 446 CLAAS CELTIS 446 Tractor Spare parts catalog. Operation and meintenance manual. Repair manual. 2052177 CELTIS 456 RA/RC/RX CLAAS CELTIS 456 RA/RC/RX Tractor Spare parts catalog. Operation and meintenance manual. Repair manual. 2052178 CELTIS FARMING 456 CLAAS CELTIS FARMING 456 Tractor Spare parts catalog. Operation and meintenance manual. Repair manual. 2052179 CELTIS 456 CLAAS CELTIS 456 Tractor Spare parts catalog. Operation and meintenance manual. Repair manual. 2052181 CHALLENGER 35 RC98 CLAAS CHALLENGER 35 RC98 Tractor Spare parts catalog. Operation and meintenance manual. Repair manual. 2052182 CHALLENGER 35 RC99 CLAAS CHALLENGER 35 RC99 Tractor Spare parts catalog. Operation and meintenance manual. Repair manual. 2052183 CHALLENGER 55 RC98 CLAAS CHALLENGER 55 RC98 Tractor Spare parts catalog. Operation and meintenance manual. Repair manual. 2052184 CHALLENGER 55 RC99 CLAAS CHALLENGER 55 RC99 Tractor Spare parts catalog. Operation and meintenance manual. Repair manual. 2052185 CHALLENGER 65 E CLAAS CHALLENGER 65 E Tractor Spare parts catalog. Operation and meintenance manual. Repair manual. 2052186 CHALLENGER 75 E CLAAS CHALLENGER 75 E Tractor Spare parts catalog. Operation and meintenance manual. Repair manual. 2052187 CHALLENGER 85 E CLAAS CHALLENGER 85 E Tractor Spare parts catalog. Operation and meintenance manual. Repair manual. 2052188 CHALLENGER 95 E CLAAS CHALLENGER 95 E Tractor Spare parts catalog. Operation and meintenance manual. Repair manual. 2052190 NECTIS 217 VE CLAAS NECTIS 217 VE Tractor Spare parts catalog. Operation and meintenance manual. Repair manual. 2052191 NECTIS 217 VL CLAAS NECTIS 217 VL Tractor Spare parts catalog. Operation and meintenance manual. Repair manual. 2052192 NECTIS 217 CLAAS NECTIS 217 Tractor Spare parts catalog. Operation and meintenance manual. Repair manual. 2052193 NECTIS 227 F CLAAS NECTIS 227 F Tractor Spare parts catalog. Operation and meintenance manual. Repair manual. 2052194 NECTIS 227 VE CLAAS NECTIS 227 VE Tractor Spare parts catalog. Operation and meintenance manual. Repair manual. 2052195 NECTIS 227 VL CLAAS NECTIS 227 VL Tractor Spare parts catalog. Operation and meintenance manual. Repair manual. 2052196 NECTIS 227 CLAAS NECTIS 227 Tractor Spare parts catalog. Operation and meintenance manual. Repair manual. 2052197 NECTIS 237 F CLAAS NECTIS 237 F Tractor Spare parts catalog. Operation and meintenance manual. Repair manual. 2052198 NECTIS 237 VE CLAAS NECTIS 237 VE Tractor Spare parts catalog. Operation and meintenance manual. Repair manual. 2052199 NECTIS 237 VL CLAAS NECTIS 237 VL Tractor Spare parts catalog. Operation and meintenance manual. Repair manual. 2052200 NECTIS 237 CLAAS NECTIS 237 Tractor Spare parts catalog. Operation and meintenance manual. Repair manual. 2052201 NECTIS 247 F CLAAS NECTIS 247 F Tractor Spare parts catalog. Operation and meintenance manual. Repair manual. 2052202 NECTIS 247 VL CLAAS NECTIS 247 VL Tractor Spare parts catalog. Operation and meintenance manual. Repair manual. 2052203 NECTIS 247 CLAAS NECTIS 247 Tractor Spare parts catalog. Operation and meintenance manual. Repair manual. 2052204 NECTIS 257 F CLAAS NECTIS 257 F Tractor Spare parts catalog. Operation and meintenance manual. Repair manual. 2052205 NECTIS 257 VL CLAAS NECTIS 257 VL Tractor Spare parts catalog. Operation and meintenance manual. Repair manual. 2052206 NECTIS 257 CLAAS NECTIS 257 Tractor Spare parts catalog. Operation and meintenance manual. Repair manual. 2052207 NECTIS 267 F CLAAS NECTIS 267 F Tractor Spare parts catalog. Operation and meintenance manual. Repair manual. 2052208 NECTIS 267 VL CLAAS NECTIS 267 VL Tractor Spare parts catalog. Operation and meintenance manual. Repair manual. 2052209 NECTIS 267 CLAAS NECTIS 267 Tractor Spare parts catalog. Operation and meintenance manual. Repair manual. 2052211 XERION 2500 CLAAS XERION 2500 Tractor Spare parts catalog. Operation and meintenance manual. Repair manual. 2052212 XERION 3000 CLAAS XERION 3000 Tractor Spare parts catalog. Operation and meintenance manual. Repair manual. 2052213 XERION 3300 CLAAS XERION 3300 Tractor Spare parts catalog. Operation and meintenance manual. Repair manual.